Arrest warrants were issued for 394 people Friday in mass simultaneous operations carried out by Turkish police across the country against online betting and gambling sites operating illegally. 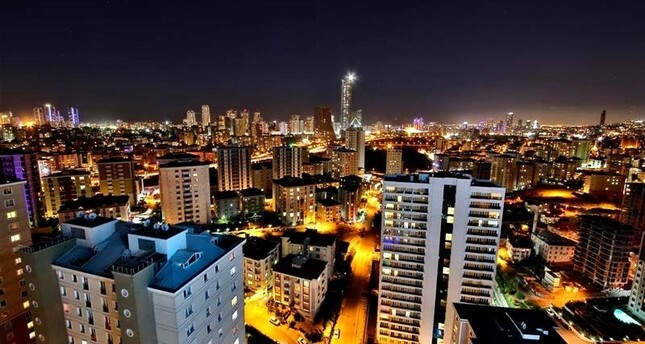 The Cybercrime Division Branch of the Istanbul Security Directorate launched the raids in 40 provinces to capture 394 suspects, 207 of which were in Istanbul, for violating the law on online gambling and gaming regulations. Some 5,000 police officers are taking part in the raids. So far, cybercrime units have seized 42 million Turkish liras in cash, in addition to $94,000 and 133,000 euros. Police have said the sites generated somewhere around TL 3.5 billion. The operations against gambling rings and illegal betting outfits are still continuing. Investigations found that 72 front companies were established in the cosmetics, logistics and food sectors to hide their betting activities relating to football matches and other sports events. As part of the probes, financial analyses were conducted on 849 people and 4,345 bank accounts affiliated with the suspects and companies. The total money traffic was found out to be TL 2.145 billion, $12.120 million, 9.366 million euros, 7 million Russian rubles and TL 1.8 million worth of gold, in addition to smaller amounts of British pounds, Swiss francs and Canadian dollars. Police units also informed local authorities that administrative fines ranging from TL 8,500 to TL 35,000 will be issued for 455 gamblers. Turkey struggles to crack down on illegal betting as a country where football is the nation's favorite sport and a way of earning income for gambling addicts. The country implemented a law last year to facilitate the seizure of revenues for illegal betting organizers, but the gangs managed to circumvent the strict monitoring of bank accounts. Authorities say they stepped up cooperation with banks to detect accounts used by gangs and betting.